Maersk Line will deploy larger vessels on its routes between Europe and West Africa. The larger ships will have a capacity of 3,430 TEUs (twenty-foot equivalent units) and each will operate routes connecting the southern Spanish port of Algeciras and the northern Moroccan port of Tanger with African ports such as Abidjan, Tema and Dakar. The capacity of the ships previously used did not exceed 2,800 TEUs. The new vessels are set to be the largest ever deployed on routes between Europe and West Africa Denmark-based AP Moeller-Maersk, owner of the world's biggest container-shipping line, said that the market between Asia and Europe may grow as much as eight per cent this year. 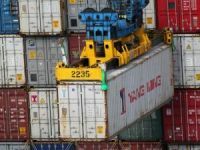 Chief Executive Officer of Maersk's container unit, Maersk Line, Eivind Kolding's forecast of five per cent to six per cent growth on the global market is unchanged. The firm cut its capacity on Asia-Europe routes last month to counter rising fuel costs. The price of bunker fuel used by container ships has jumped by 57 per cent this year, adding to Maersk's costs, while the US dollar, the currency most widely used to pay for shipping services, has dropped 6.9 per cent against the Danish krone. 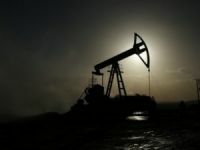 "There's no doubt that they are heading into a tough period, with declining demand while capacity remains high," said Karsten Sloth, an analyst at Jyske Bank. 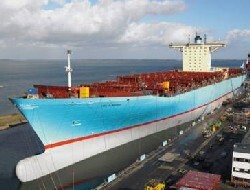 Maersk Line recently ordered 16 ships from Daewoo Shipbuilding and Marine Engineering for delivery in 2010-2012. 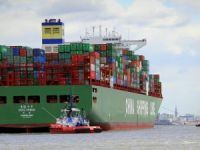 The ships are destined for transportation of goods between the East Coast of South America and Asia and Europe, the world's largest container shipping line said. 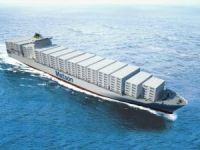 The container ships have individual capacities of 7,450 TEUs and can carry a record 1,700 refrigerated containers each, Maersk said. 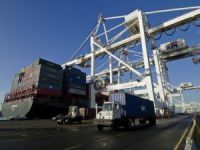 The trade between the East Coast of South America and Europe is driven by the export of food products such as poultry, meat and fruit in refrigerated containers and has grown an average 15 percent a year since 2002.